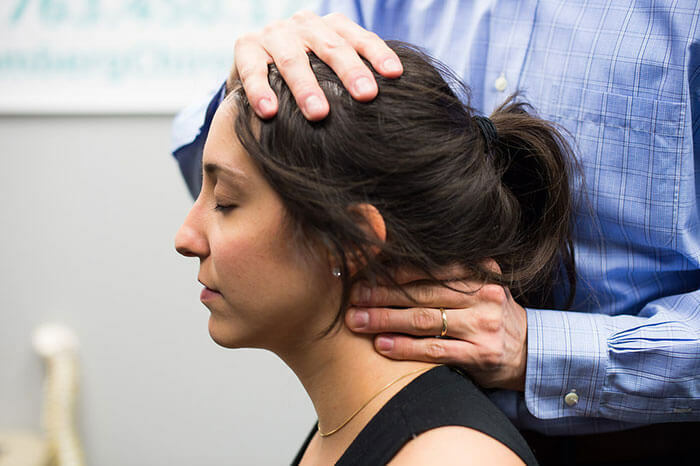 Restore your body’s balance and feel your best through safe, gentle, and effective chiropractic treatment. Through movement based massage, we can treat the soft tissue to improve range of motion and relieve pain. Used by athletes for decades, Kinesio taping helps to promote healing and support athletic performance. If pain is interfering with your daily routine, it’s time to consider transcutaneous electrical nerve stimulation (TENS). Are you still playing in different leagues around the city and finding that you are sorer the following day? Seeing Dr. Tom Bomberg will allow you to continue doing the activities you love. Do you put in long hours at a desk, behind a screen, in a chair, every business day? If you said yes, you are at risk for not only poor posture but a whole lot of issues that stem from extended desk time. With all the stresses having a baby can bring, the last thing you need to worry about is pain. Webster’s Technique is a trigger point therapy that helps a baby get comfortable in a woman’s belly. Auto accidents can have a major impact on the way you feel. If you’ve recently been in an auto accident, schedule an appointment with Dr. Tom Bomberg to get back on the road to feeling your best. Don’t let a workplace injury slow you down! Our team has years of experience in handling workers’ compensation chiropractic claims, so we can help you get the treatment you need.